Liven up designs with new texture using Twisted Square Wire. This craft wire will give your wire wrapped designs new dimension. The wire is created by twisting square wire to create an interesting texture that adds complex detail to your designs. 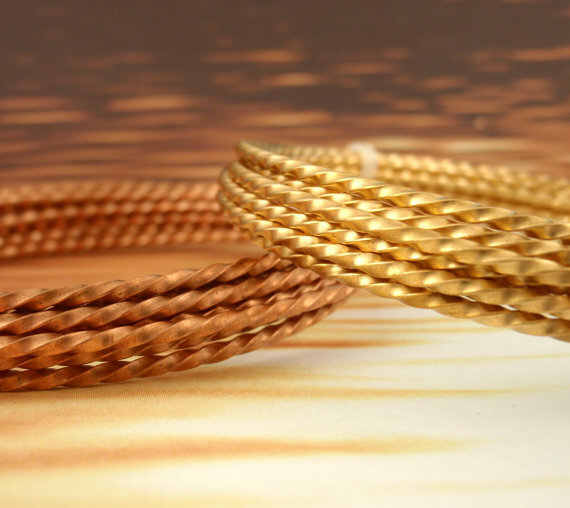 Find Twisted Square Wire in two gauges(18GA and 21GA) and four colors (Gold Plated(GL); Silver Plated(SL); Vintage Bronze(VW) and Antiqued Copper(AC).